How to make pear puree at home? 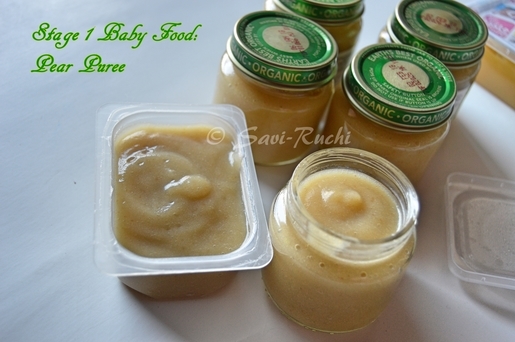 Stage 1 foods/purees can be given to babies from 4+ months. However, I started after my baby turned 6 months old. 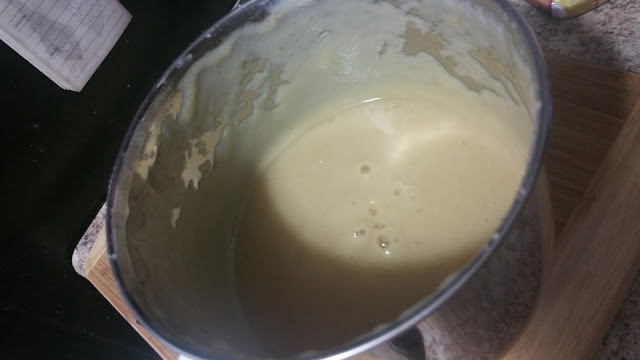 I stored the puree in 2.5 oz bottles/jar. That is how much I give my daughter at a time. You can store in 4 oz or 2.5 oz bottle. Store in small bottles, enough for 1 serving. This way, you'll not end up wasting the food and you can thaw just 1 jar of food/serving. 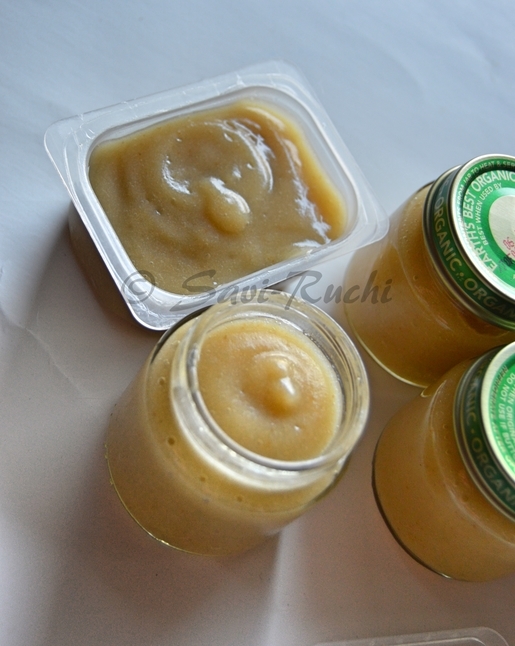 I used organic vegetables/fruits for making baby food. Since, it's first food I'm not adding any flavoring like cinnamon, cardamom to the puree. If you wish, you could add flavoring of your choice. However refrain from adding sugar or salt. Your baby does not need additional sugar/salt. Fruits have enough sugar in them. 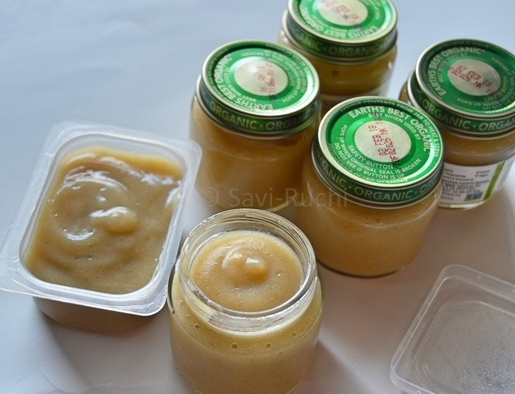 Items needed for making and storing the baby food. Food grade bottles/jar that can be freezed. I prefer glass jars, but in the beginning had to use few plastic ones too. Later, I switched completely to glass jars. 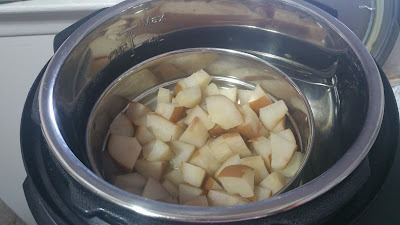 I washed the food jars thoroughly and wiped them to remove the moisture from the jars. Core and de-seed the pear. You can peel the skin, I didn't peel it though. Chop into 1 inch cubes and steam the pear for 5 minutes. Do not add any water/milk while steaming. 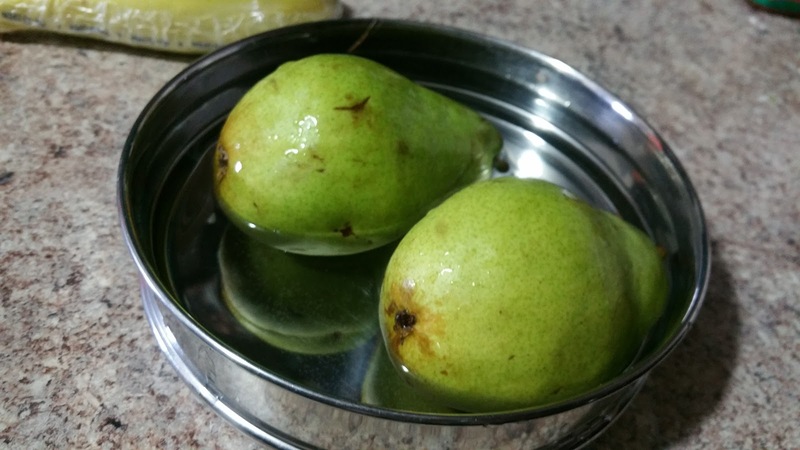 Pear has enough water in itself. 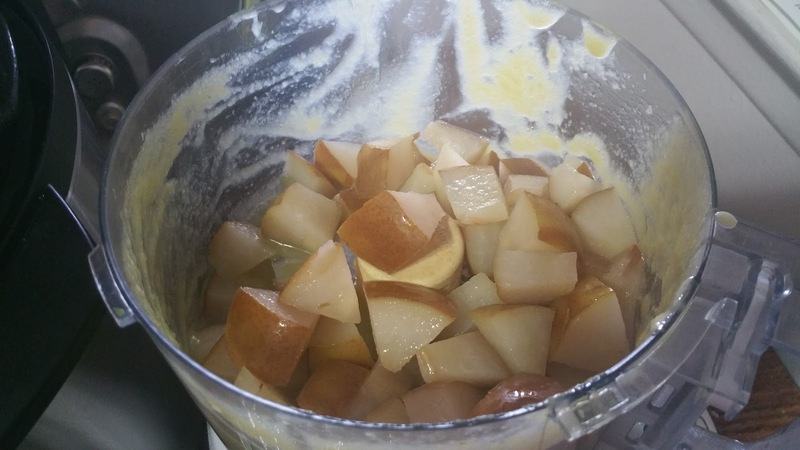 Once the steamed pear cools down, blend them in a food processor/mixie. I tried doing it in my food processor. 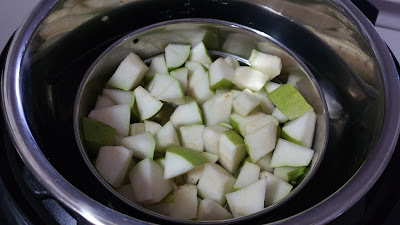 My food processor couldn't grind the skin of the pear, hence I moved it to my Indian mixie. 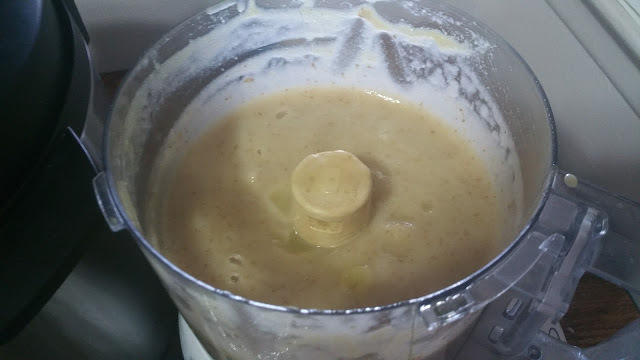 Make sure you make a fine puree of the fruit. Scoop out the puree into the desired jars and freeze. I use 1 fruit jar per day and I got enough for a week.